Using her knowledge as a Registered Nurse and love for baking, Duhaney developed a milk-making cookie recipe and fell in love with the results. This lactation cookies dramatically increased her supply. Soon after, she decided that she could not keep her discovery a secret and had to share this with other mothers who were going through a similar situation. So, in November of 2015, Milky Mama was born. Today, Milky Mama's product line includes delicious Lactation Cookies, Brownies (which are Krystal’s favorite), Emergency Brownies, Tropical Iced Tea, Lactation LeMOOnade, Lactation Smoothie Mix, and Herbal Supplements. Along with offering tasty treats and beverages, Milky Mama has also generated a following of women who help support each other and other women on their journey. “It was also important for me to create a village of support, because I needed it and I craved it. Having the extra support is so vital. It is heartwarming and a huge passion of mine to give breastfeeding support. I receive so many responses from customers sharing their experience and because they eat my treats they are going strong with lactation. 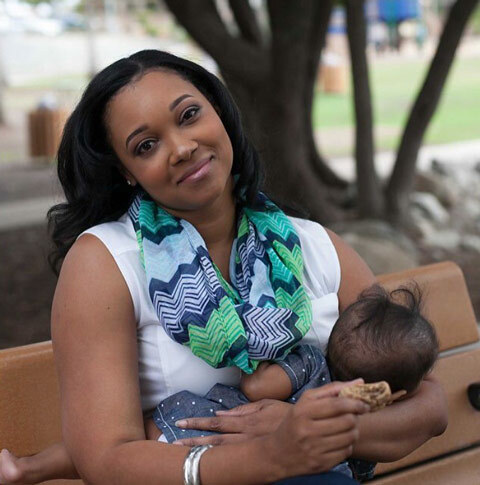 It’s so amazing what a little extra support can do.” Milky Mama facilitates weekly Facebook chats and a lactation support group. Whether you’re a first-­time mother or a Hollywood celebrity, Milky Mama can empower you with the physical and emotional support you need to raise happy and healthy babies! Most recently, Milky Mama helped Coco Austin, actress, dancer, web personality, reality TV star and wife of rapper Ice-­T, with her breastfeeding concerns. “I’m obsessed w/@MilkyMamaLLC lactation treats,” she tweeted. Try one of our signature products today and join the Milky Mama revolution!